Currently out of stock....check back soon! 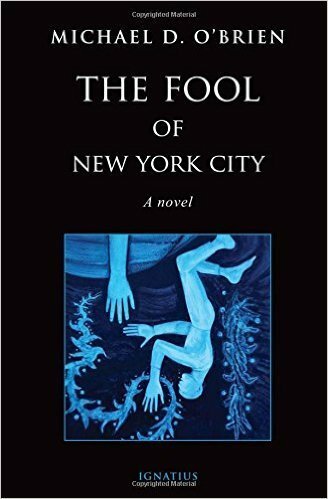 Set in present day Manhattan, The Fool of New York City is the tale of two souls who are considered to be fools and idiots in the eyes of most people they encounter. One is a literal giant, the other an amnesiac who believes he is the 17th century Spanish painter Francisco de Goya, hundreds of years old, aging more slowly than the rest of the human race. Billy the giant has also briefly suffered from amnesia years ago, and he understands the anguish of those who have lost their identity. He is an apparently simple person, a failed basketball player with an enormous good heart who takes Francisco under his wing after they meet through a seeming coincidence. Together they undertake a laborious search to discover Francisco's true past. A wistful, startling read.The Fool of New York Cityis an absorbing meditation on memory, identity, and the human capacity for survival and love in the midst of the most devastating of tragedies. O'Brien is a masterful storyteller and a gifted artist. His beautiful depiction of human struggle and good versus evil will deeply move and inspire you. An extraordinary book. With exquisite prose and an artist's eye, Michael O'Brien weaves a charming narrative cut through with a heart-wrenching sorrow that might well leave you gasping for breath. It is the best of O'Brien's novels. Michael D. O'Brien, iconographer, painter, and writer, is the popular author of many best-selling novels including Father Elijah, Elijah in Jerusalem, The Father's Tale, The Fool of New York City, Eclipse of the Sun, Sophia House, Theophilos, and Island of the World. His novels have been translated into twelve languages and widely reviewed in both secular and religious media in North America and Europe.